Yesterday, the world learned the sad news that the world’s oldest person had died at 117 years of age. Emma Morano, who was the last living person born in the 1800s, said during interviews that her diet was eating eggs and a few biscuits. She would eat one raw egg every day. The new oldest person in the world also has a diet, which does not include chicken or pork. Violet Mosses Brown, who was born four months after Emma Morano, lives in Jamaica and comes from the same area as Olympic gold medal winner Usain Bolt. 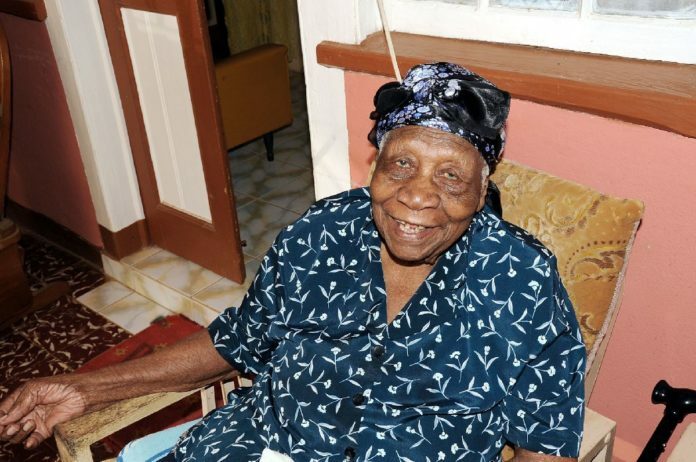 Brown became the world’s oldest person after the death of Emma Morano on Saturday. They were both 117 years old but Emma Morano was born in November 29, 1899 while Violet Mosses Brown was born in March 1900. Violet Mosses Brown is known by her family and friends as ”Aunt V” and like Emma Morano, she follows a diet. She recently told the Jamaica Observer that she likes fish and that she will have cow foot at times. She also loves fruits such as mangoes and oranges. Morano had a different diet, which was only eating three eggs throughout the day. She followed the diet for most of her life and while most of the time it was eggs, she would sometimes eat a biscuit. On her birthday on November 29, 2016, Morano was given two cakes to celebrate her birthday. She was also read a statement from the president of Italy and received a visit from the mayor. Morano’s diet may have helped but her family is known for living very long. Her mother reached the age of 91 while one of her sisters lived to be 102. Morano had not left her apartment for the last 20 years but would often be visited by people who wanted to know more about her. Next articleEvander Holyfield Net Worth 2018 – How Wealthy is the Boxing Champ?